Congratulations to Richard Powell who received his 50-Year Long Service award at Monday's match. Well done to Kieran Michaels who received the Supporters' Player of the Season award before kick off at yesterday's home match against Haverhill Rovers. Club president Richard Kemp presented the trophy to Kieran. Kieran made his sixth assist of the season when his corner was headed home by Ashley Skeggs in the 90th minute. Best wishes to Elliot Walker for his knee operation today. Elliot has not played since getting injured at FC Clacton in October, we hope the operation goes well and he can return to action next season. Congratulations to Kieran and we hope to have the trophy ready in time for the Easter Monday home match. The Under 18s lost their final game of the season at Royston last night and should be congratulated on their efforts. Next season life should be easier for them, hopefully playing in the South Division with less travelling. AFC Sudbury should move to the newly formed Premier Division if it comes to fruition whilst FC Clacton have been expelled for two seasons for calling off three consecutive matches. Supporters' Player of the Season voting takes place at Saturday's home match against Kirkley & Pakefield. If you're not attending Saturday's match but would like to vote, email your first, second and third choices to andy_cussans@hotmail.co.uk (no later than Saturday 5pm please). Congratulations to Histon who won the Thurlow Nunn Premier Division title on Tuesday. Histon have only lost twice in the league, one of those defeats came at Stoneylands in September when Pablo Chaves scored two memorable long range goals to earn Melford a 2-1 win. The Reserves stay 2nd in the Border League Division Two despite a 2-0 defeat at Tollesbury yesterday. Next match is on Tuesday in the Hospice Cup semi-final at home to Bedricks Worth (7.45pm kick off) followed by a league match at home to Boxted Lodgers Res. on Saturday (3pm). The Under 18's hosted Mildenhall Town on Thursday in a close game the winning goal came from the penalty spot by Kaine Manels to give Mildenhall the 1-0 victory. Next U18 match is away to Ely City on Thursday (7.45pm). Ben Judge who has been out injured since the FA Cup replay against Haverhill in September, made his comeback in training this week. For the Challenge Cup final at Diss Town in May, Melford will play in Black and White Stripes, White Shorts and White Socks. 10-year-old Blake Leonard from Long Melford is a carer to his mum Libby who has MS. Blake is raising awareness by collecting Easter eggs for other young carers. If you would like to support this very worthwhile cause (perhaps by donating an egg or two) please contact us for details or your eggs can be left at Paul James Blinds in Sudbury or at Station Rise Bungalow, Withindale Lane, Long Melford. Congratulations to Needham Market who won a well-contested Suffolk Women's Cup semi-final 4-1 against Haverhill Rovers today, in front of a crowd approaching 300 at Stoneylands. Debs' catering and Ivan's pitch both received praise, good luck to Needham in the final at Portman Road. The Under 18s moved up one place in the table after a 0-0 draw with Saffron Walden last night. A reminder that this Sunday (17th March) the club will be hosting the Suffolk FA Women's Cup semi-final between Needham Market and Haverhill Rovers. Kick off at Stoneylands is 2.30pm. Volunteers will be needed on the day so if you can help please contact us or speak to the chairman/secretary. Pitch inspection passed so tonight's U18 match Saffron Walden v Long Melford goes ahead, 7.45pm kick off at The Meadow. Tonight's U18 match Saffron Walden v Long Melford is subject to a midday pitch inspection. We will update the website with news of the decision. We can confirm the net profit raised at the Race Night on Saturday was £380. Well done to all involved. It's always nice to hear positive feedback on the food provided by Debs on matchdays. Here's a few comments received on Twitter at the recent matches against Whitton and Newmarket. The article focuses on the club's 150 year history and the people behind the scenes who the club couldn't survive without. Thank you to everyone who helped stage the Race Night. In particular Mick Garbi and Elliot Walker who did the operating of races and bookies job. Peter Turner and his team who did the Raffle. Bradders who made sure we got our entrance fees and Debs who laid on a fantastic curry. Also thank you Rob Edwards and LM Cleaning Services for sponsoring races. Tomorrow's reserve team match has been called off as our opponents Lawford can't raise a side. UNDER 18 UPDATE - Long Melford 1 Royston Town 2: The Under 18s gave a good account of themselves last night and lost to two late goals. Next week's fixture between the same two sides has been postponed as a lot of our boys are involved in a schools semi final that afternoon. FIXTURE CHANGE - The first team game at Brantham Athletic on Saturday March 9th has been brought forward to Friday March 8th (7.45pm kick off). CUP SEMI-FINAL - The club has been selected to stage the semi final of the Suffolk Women's Cup on Sunday March 17th between Needham Market and Haverhill Rovers. This is testimony to the esteem the club's pitch is held in. Volunteers will be needed on the day, if you can help please speak to the Chairman/Secretary. WEEKEND PREVIEW - No first team fixture this weekend but a big match for the Reserves in the Tommy Thompson Cup (League Cup) quarter final at home to Mersea Island (2.30pm kick off at Stoneylands). Long Melford Res v Walsham-le-Willows Res. Tonight at Stoneylands the Under 18's host Histon in the Thurlow Nunn Youth League - 7.45pm kick off. We would like to point out the match report in today's East Anglian Daily Times (Long Melford v Framlingham), which contains several inaccuracies, was not written by club scribe Chenoberet. KHA Group confirmed yesterday on their Facebook page that planning approval has been received for the new clubhouse. Yesterday the Reserves won 6-0 at Hatfield Peverel Reserves, the scorers were Addy Roy (2), Sam Newton (2), Will Howe and Perry Newman. The Final is scheduled for Bank Holiday Monday, May 6th at Diss Town FC, 3pm kick off. Well done to Hassan Ally who received an award before kick-off last night for reaching 100 appearances for the club. Thanks to Kevin Cook for presenting the award to Has last night and also John Nunn for taking the photo. Tonight's Under 18 match at Ely City has been postponed (waterlogged pitch). The fixture will be rescheduled to a new date soon. The Reserves stay 2nd in the table after a 6-2 win at Mersea Island yesterday in the Border League Division Two. The goals were scored by Maxwell Maughn (2), Sam Newton (2), Steve Cole and Perry Newman. Despite having three regulars away on first team duty, the Reserves kept their winning run going by beating Wormingford Reserves 4-2 at Stoneylands yesterday. The scorers were Addy Roy (2), Perry Newman and Sam Newton. The Reserves were two goals down early on yesterday, but fought back to win 4-2 at home to Lawford - scorers Will Howe, Addy Roy, Cory Willings and Daniel Harewood. Stuart Malseed's side currently sit 2nd in the Essex & Suffolk Border League Division Two - next match is at home to Wormingford next Saturday (26th). "At the end of the season the top club in each Step 5 league, including the TNL Prem Div, will be promoted to a Step 4 league. Should the club decline promotion they will be relegated to Step 6. The teams finishing in the bottom 2 places will be relegated to a Step 6 league. " The club would like to thank Bill Smith (A J Smith Surfacing Contractors) for the repair work carried out last week on the road leading into Stoneylands. Long Melford Reserves advanced to the quarter finals of the Tommy Thompson Cup by winning 5-1 at Harwich Rangers yesterday. Scorers for Melford were Sam Newton (2), Will Howe, Perry Newman and Cory Willings. At last Saturday's home match the club presented a gift set of personalised golf balls to 2015 First Division title-winning manager Jules Mumford. The management team have been very busy over the last couple of days trying to bolster an injury-hit first team squad. To that end we are pleased to be able to confirm two signings. Ashley Skeggs is no stranger to Stoneylands having played over 200 matches for the club and joins us on a dual registration with Saffron Walden Town (Essex Senior League). We have also moved to bring in 21-year-old forward Emmanuel Machaya from Bury Town, also on a dual registration. Emmanuel has featured for Bury's first team this season and has been a regular scorer for their U23s. We’d like to thank Jason Maher at Saffron Walden and Ben Chenery at Bury for their help getting these registrations through. Ashley and Emmanuel will both come into the squad for tomorrow's home match against Hadleigh United. On behalf of the club we would like to wish a Happy Christmas to everyone. And then on Saturday (29th) for a crucial bottom four six-pointer at home to Hadleigh United (3pm kick off at Stoneylands). The Reserves had their Christmas team night out at the weekend. Next match for the Reserves will be on Saturday (29th) away to Harwich Rangers (2pm kick off). Bright sunshine at Stoneylands this morning and no rain in the forecast, so today's match against Walsham is definitely on, 3pm kick off. After overnight rain, tonight's reserve team match against Wormingford Wanderers has been postponed. Pictured above the players on their team night out on Saturday after the match at Wroxham. Loyalty in football at all levels of the game is very rare, so we are lucky to have this group of players. The current 1st Team squad have made over 2,000 combined appearances for the club, scoring around 225 goals. Commitment and loyalty that is very rarely seen these days. A 3-2 win for the Reserves at Stoneylands yesterday against near neighbours Cavendish. Goals from Max Maughn, Perry Newman and Cory Willings gave Melford what looked like a commanding 3-0 lead but Cavendish fought back with two late goals to set up a nervy finish. Melford held on for the points. Goalkeeper Michael Bett made an outstanding penalty save in this match, to see the video head over to our Facebook or Twitter account. Long Melford Reserves won 3-2 at Rowhedge yesterday afternoon - the Melford scorers were Addy Roy, Will Howe and Perry Newman. A good 2-1 win for the Under 18s at Newmarket Town yesterday - scorers Own Goal and Under 16 Dylan Fothergill with the winner. Manager Mick Garbi said after the match: "Happy for the boys tonight, with three under 16s on the pitch helping us turn the game around, showing that age doesn't matter if you are good enough. The boys really applied themselves and took on board everything we asked." In the quarter finals of the League Cup, the First Team have been drawn at home to Stowmarket Town (tie to be played Wednesday 6th February, 7.45pm kick off). The two sides have already met twice in the League this season. Stowmarket were comfortable 5-0 winners at Greens Meadow in September, but it was a much closer contest at Stoneylands last month, where Melford led for much of the game before a late equaliser made it 1-1. Tonight's Under 18 match at home to Cambridge City has been postponed (waterlogged pitch). The Reserves won 1-0 against Hatfield Peverel Reserves at Stoneylands yesterday. Maxwell Maughn came on at half time and scored a solo goal from the edge of the box into the bottom corner. Last night's Under 18 match at Histon ended in a 1-1 draw. Histon took the lead in the 84th minute when Louis Hobbs scored what appeared to be the winning goal. However there was still time for Melford to find an equaliser through Elliott Moss in the 88th minute to earn a point. Melford stay 7th out of 10 in the Thurlow Nunn Youth League (Cambridge Division). Under 18s manager Mick Garbi said: "Great hospitality from Histon as always and their position in the league table is false as they come, a good energetic side who like to get at you. Happy with the second half performance which gives us something to build on for next week. " Next match for the Under 18s is at home to Cambridge City on Thursday (29th November). We are saddened to hear that one of the club's former players Alessandro Zarrelli has died at the age of 34 in a road accident. The Italian midfielder played for Melford during the 2013/14 season. Condolences from everyone at the club to Alessandro's family and friends. Please note St Catherines Road is closed so we suggest local supporters going tonight park in the main street and use the footpath opposite the George & Dragon. To others for your journey home you will have a slight detour to Rodbridge, turning right for Sudbury or left for Bury. Goals from Will Howe (2), Addy Roy and Deklyn Roy put Melford Reserves 4-1 up at Mersea Island yesterday, when the game was abandoned with 13 minutes left due to a serious injury to the Mersea goalkeeper. We heard today the Mersea keeper fractured his lumbar vertebrae - best wishes to him for a speedy recovery from us all at Long Melford FC. Kieran Michaels has joined the club on loan from Colchester United Under 18s and had an outstanding debut in the midweek reserve team match. Three players left the reserves squad recently, Ryan Luckman (to Earls Colne), Kieran Fisher (Gas Rec) and Jason Joseph (Cornard). Meanwhile Scott Sloots is currently serving a Sine Die suspension for misconduct in a Sunday League match. Tonight the Reserves unbeaten in their last six matches take on a FC Clacton side also in good form at the moment. Kick off at Stoneylands is 7.45pm and admission is £3 for tonight's Border League Division Two fixture. A couple of changes to the Reserves management team have been announced this week. Shane Bethell has stepped down from his role assisting manager Stuart Malseed, we thank Shane for his contribution on and off the pitch over the last few seasons. Elliot Walker while he recovers from injury will be helping Stuart and Lee Greenwood on matchdays. An excellent 3-0 win for the Reserves yesterday against Mildenhall Town in the Suffolk Senior Reserve Cup. Goals from Will Howe (2) and Sam Newton booked Melford's place in the quarter finals. Stuart Malseed's side are back in league action on Wednesday at home to FC Clacton - 7.45pm kick off at Stoneylands, admission £3. Long Melford Reserves are 5th in the Essex & Suffolk Border League Division Two after a 1-1 draw at Wormingford Wanderers on Saturday. Addy Roy gave Melford a first half lead, Wormingford equalised in the second half through Sam Mortlock. Next match for the Reserves is this coming Saturday (10th November) at home to Mildenhall Town in the Suffolk Senior Reserve Cup - 2pm kick off at Stoneylands, admission £3. Tonight's Under 18 home match against Royston Town has been postponed due to a waterlogged pitch. On an excellent playing surface at Stoneylands (pictured above) the Reserves won 6-1 against Elmden Rovers (scorers Addy Roy 3, Will Howe, Perry Newman, Aaron Pengelly) to go through to the next round of the Tommy Thompson Cup. A 3-1 defeat for the Under 18s on Thursday away to Mildenhall Town, with Callum Denson scoring the Melford goal. Under 18s manager Mick Garbi said after the match: "Well played Mildenhall Town on their win tonight and great hospitality as ever. More lessons for the boys to learn tonight and we need to be learning game on game to progress. "The boys worked hard against a good Mildenhall side. We need to play with the same confidence away from home as we do at home. But in every defeat we learn. Another tough test on Thursday at Stoneylands against Royston Town." Please note that Saturday's match between Long Melford Reserves and Elmden Rovers (Tommy Thompson Cup) kicks off at 2pm at Stoneylands. Yesterday the Reserves made the short journey to Cavendish and drew 2-2. Scott Sloots has returned to the club following a short spell at Hadleigh United. Scott was on the scoresheet for the Reserves yesterday at Cavendish, the other goal was scored by Addy Roy. The Reserves stay 4th in the Border League Division Two. On Wednesday night the Under 18s lost 4-1 to a strong Cambridge City side, Melford's goal was scored by Lincoln Pretlove. Tomorrow the First Team are at home to Great Yarmouth Town (3pm kick off) while the Reserves make the short journey to Cavendish (3pm). Long Melford Reserves moved up to 4th in the Border League Division Two after another impressive team performance at Stoneylands yesterday, winning 5-0 against Harwich Rangers. Will Howe (2), Andy Fisher (2) and Craig Lee scored the goals. A good win for the Under 18s at Stoneylands last night, beating Saffron Walden 2-0 with goals from Ben Lodge and Daniel Harewood. It was a one-sided Suffolk Premier Cup tie at Stoneylands last night, as higher league Felixstowe & Walton United won 8-1. Felixstowe's experience and quality proved too much on the night, with Sam Ford netting a first half hat-trick and Jack Ainsley a second half hat-trick, plus further goals from Joe Francis and Miles Powell. Will Wingfield scored Melford's consolation from the penalty spot. After a heavy midweek defeat at FC Clacton, the Reserves bounced back yesterday to win 7-1 at Boxted Lodgers. The Melford goals were scored by Perry Newman (2), Sam Newton (2), Josh Collins, Will Howe, Deklyn Roy. On Thursday night the Under 18s hosted St Neots Town at Stoneylands. After losing 7-1 at St Neots recently, it was a closer contest this time with St Neots winning 3-1. Melford's goal was scored by Dominic Emmerson, attendance 25. Thank you to Peter Cockett of System Sound in Sudbury for repairing the club's loudspeaker system. The Reserves went out of the Border League Cup yesterday but put in a good performance against higher league opponents Hatfield Peverel, who play two divisions above. Addy Roy scored the Melford goal in a 2-1 defeat. Next match for the Reserves is another cup tie on Saturday (29 September), this time in the Suffolk Senior Reserve Cup - at home to East Bergholt. Well done to the Under 18s getting their first three points last night with a 1-0 win against Haverhill Rovers, the winning goal was scored by James Burgess. Good luck to Scott Sloots who has signed for Hadleigh United. Scott made 61 appearances for Melford over three different spells between 2013 and 2018, scoring nine goals and we thank him for his contribution over the last few years. The Reserves made it 3 consecutive victories by winning 5-1 at Ramsey & Mistley. The scorers were Robo Ominiabohs (2), Perry Newman, Addy Roy and Sam Newton. Thank you to HALE-A-CAB for sponsoring Sam Bayliss. The winners of Wednesday's replay will be at home to Leatherhead (based in Surrey they play in the Bostik Premier) in the 2nd Qualifying Round - tie to be played Saturday 22 September. That will be a tough tie for either Melford or Haverhill, as Leatherhead have a strong FA Cup pedigree (last season they reached the Second Round Proper where they lost 3-1 to Wycombe Wanderers). Long Melford Reserves made it back-to-back Border League Division Two victories yesterday with a 4-1 win against Rowhedge. The Melford scorers were Andy Fisher, Sam Newton, Robo Ominiabohs and Perry Newman - more details to follow shortly. A tough night for the Under 18's last night losing 7-1 at St Neots Town, James Burgess with the Melford goal. Next match for the Under 18's is away to Felixstowe & Walton Utd in the Suffolk Midweek Cup on Thursday 13 September. Saturday's FA Cup tie at Haverhill Rovers kicks off at the earlier time of 2pm at the New Croft in Haverhill on the grass pitch. In the First Qualifying Round of The Emirates FA Cup, we have been draw away to Haverhill Rovers. The tie will take place at Haverhill's New Croft ground on Saturday 8th September, 3pm kick off. In the previous rounds, Rovers beat their near neighbours Haverhill Borough (2-0) and Maldon & Tiptree (2-1), while Melford knocked out Redbridge (3-1) and St Margaretsbury (3-1). The two sides have met only once before in the FA Cup - in 1958 Haverhill won the replay 4-2 after a 2-2 draw at Melford. Good luck to the Under 18s for the first Thurlow Nunn Youth League match of the season tonight - at home to Newmarket Town. Kick off at Stoneylands is 7.45pm and admission is £3. We understand the draw for The Emirates FA Cup 1st Qualifying Round will be made at 1pm on Tuesday. Meanwhile in the Suffolk Premier Cup the club was handed a home tie against Felixstowe & Walton United (to be played Wednesday 10th October). In other fixture news, instead of playing FC Clacton Res on Saturday (1st September) the Reserves will now be at home to AFC Sudbury A instead - 3pm kick off at Stoneylands in the Essex & Suffolk Border League Division Two. The Thurlow Nunn Premier Division fixture at home to Brantham Athletic (originally scheduled for this coming Wednesday) has been postponed. New date for this match is Wednesday 26 September. The Under 18s away match at Cambridge City, also scheduled for Wednesday, has been postponed due to pitch unavailability. 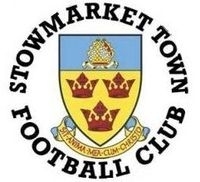 The Under 18s home match against Newmarket Town has been moved forward two days to Tuesday 28 August. And finally, the Reserves will be at home to Pot Black in the St Nicholas Hospice Cup on Thursday 30 August. Unfortunately tonight's match Long Melford U18 v Histon U18 has been postponed - several hours of rain today has left surface water on the Stoneylands pitch. A new date for this fixture will be arranged soon. The Reserves have been drawn at home to East Bergholt in the Suffolk Senior Reserve Cup - tie to be played on Saturday October 6th. The club would like to find a substitute gate person to take over when Judith Mills is not available to do First Team, Reserve and Under 18 games. It involves arriving 30 minutes before kick off and remaining until half time. There is a small payment for this role, it would suit a young person or possibly a retired person. Contact John Nunn Director of the Club 01787 313496 or contact us through the website. Long Melford Reserves playing their first match in the Essex & Suffolk Border League since switching from the Thurlow Nunn Reserve League, were beaten 1-0 at Stoneylands yesterday by Stanway Pegasus. Former AFC Sudbury and Needham Market player Max Booth scored the winning goal. With a lengthy break in the fixture list now, the Reserves are looking for friendly opponents on Saturday 18th and Saturday 25th August. They will need to be away friendlies. Please contact manager Stuart Malseed on 07921574052 if you know of a team looking for a friendly on those dates. Tonight's under 18 friendly at Cornard United has been postponed due to standing water on the pitch. There will be 54 tickets for sale at £2 each for the chance to win a £10 meat voucher kindly donated by Ruse & Son Ltd, Master Butchers of Long Melford. Good news on Will Wingfield who had an unfortunate clash of heads in yesterday's match. Will had a long night in A&E but had the wound on his head glued together. There were no other issues so Will was given the all clear and sent home. There is some excellent coverage of the club in this week's Suffolk Free Press, including an article about the club's 150 year history by president Richard Kemp. The club would like to thank Nethergate Brewery for renewing their sponsorship of the First Team home kit for the 2018/19 season. As always please support the local businesses who support Long Melford FC - we can recommend a visit to Nethergate's premises on Rodbridge Corner where you will find an excellent range of beers. The Reserves have looked good in pre-season so far, they continue their friendlies tonight with a home match against Bildeston Rangers (7.45pm kick off at Stoneylands). Admission is free. As always your support at reserve team matches is very welcome and is appreciated by the team. The Reserves' first match in the Border League Division Two will be at home to Stanway Pegasus on Saturday 11 August. GAS RECREATION 3 - 2 LONG MELFORD RES. A reminder that admission is £3 at tomorrow's home friendly against Bury Town - 3pm kick off at Stoneylands. On the sponsorship front the club would like to thank L.M. Cleaning Services and Robins Row Insurance for their continued support in the upcoming 2018/19 season. We are also pleased to have The Black Lion Hotel in Long Melford as a new sponsor for 2018/19 and we thank them for their support. Player sponsorship will be available soon, when we have new photos of all the players. The club would like to thank The Melford Valley Indian Restaurant, M.D. Mills Building Contractors and J.R.L Scaffolding for renewing their sponsorship for the new season - we really appreciate your continued support. We're very sad to hear that Tony Simpson aka YNOT has passed away after a heart attack. A great Sudbury clubman, Tony was one of football's good guys. He would often come along to Stoneylands when AFC weren't playing and will be sorely missed. Condolences from us all at Long Melford FC to Tony's family and friends. The First Team have received a bye in the first round of the League Challenge Cup and have an away tie at Woodbridge Town in the second round - tie to be played Wednesday 24 October. Another excellent training turnout at the Thomas Gainsborough School last night, including some of the new Under 18s squad, overall 38 players were present. Most of the squad from last year were there, with others working etc, but also a number of impressive new faces. First friendly is this Thursday 19.00 hrs kick off at Pebmarsh Road, Colne Engaine. It is thought that Melford will try to play two teams, one for each half. Then on Saturday 3pm at Stoneylands when we take on Needham Market, possibly with ex Melford star Jamie Griffiths lining up against us. The club's pre-season friendlies begin on Thursday when a Long Melford XI will be playing away to Tiptree Engaine (7pm kick off). Tiptree Engaine play at Colne Engaine FC, 41 Pebmarsh Rd, Colchester CO6 2HD. Then on Saturday it's the first team friendly against Needham Market from the Bostik League (3pm kick off at Stoneylands). Admission is £3 and this will be the same across the board for all home friendlies. There's also a reserve team friendly on Saturday away to Barnston (3pm kick off). Pre-season training continues tonight, 7pm start at the Thomas Gainsborough School in Gt. Cornard. That will be the only training session this week. We met with the architects on Wednesday to commence the Design/Build process. They aim to have design specification ready for the end of July, ready to go out to tender. There will be an open evening at the club on Wednesday August 1st (18.00 – 20.00) for local residents and the wider community to come along and see first-hand where the new building will be located and what it will look like and have their input. We are still on course for submission to the FA in October 2018. Our reserve team (playing in the Border League Division Two this season) are looking for pre-season friendly opponents on Saturday 21 July. It has also been confirmed by club secretary Richard Powell today that the Reserves will play in the Suffolk Primary Cup this season. The club would like to thank construction company Kier for signing up as a new sponsor in the 2018/19 season. Kier's sponsorship package includes online, matchday programme and pitchside adverts. We would also like to thank Centra Security for renewing their sponsorship of the club website. There was nothing too controversial at either the Thurlow Nunn League or Border League AGM. The first team will be in a division of 20, season starting on Saturday August 4th. Whilst the reserves will be in a division of 14 teams, season starting on Saturday August 11th. The Under 18s are in a division of 11 teams, start date TBC. Lee Fisher who several of you will remember from Braintree Reserves when they played at Stoneylands, has been appointed manager of Stanway Rovers, replacing Kem Izzett who resigned last week. The Thurlow Nunn Premier Division has been reduced from 24 to 20 clubs, meaning 8 fewer matches. Leaving the division are Coggeshall Town and Felixstowe who have been promoted to the Bostik League, while Haverhill Borough, Ipswich Wanderers, Wivenhoe Town and Fakenham Town are relegated. Stanway Rovers and Saffron Walden Town have moved sideways to the Essex Senior League.